This evening the CCOA Bishops, The Most Rev. 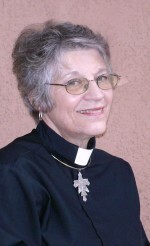 Linda Rounds-Nichols and The Most Rev. 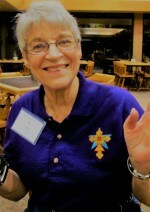 Michael Talbot, met with Presiding Bishop, The Most Rev. Mark Elliott Newman. The purpose of the meeting was to elect our next Presiding Bishop. 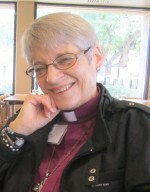 CCOA’s current Presiding Bishop, The Most Rev. 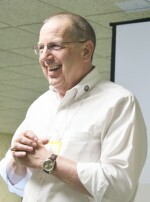 Mark Elliott Newman was unanimously elected on the first ballot and has agreed to continue his service for another term. Congratulations, Bishop Mark. Thank you for your continued service! +Michael is pictured with Presiding Bishop, Mark Elliott Newman, OC. CCOA clergy and seminarians should have received information about the 2018 Convocation, which is scheduled for September 14-17, 2018. If you did not receive this information, please contact Presiding Bishop Mark Elliott Newman, OC. Sophia Divinity School’s office is now in Arizona, where we are incorporated, while remaining a division of CCOA. We hope to compete some program revisions soon and to then have applications available. God is not dead, but…..
May you embrace the love and joy of Easter and share it with others during the days ahead! the many stories of the events of holy week, and the surprise of the empty tomb. May the week ahead lead you to your own Happy Easter! It’s time! Register today for Convocation 2017! CCOA clergy, Sophia Divinity School seminarians, and spouses/partners: If you are not yet registered for Convocation, remember to do so asap. Registrations are due by December 1! whose book, The Other Catholics, just won an award.